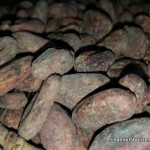 Register Log In AmbergrisCaye.com Home Forums Culture Food & Recipes All about Chocolate! For every child and even most adults, chocolate is a much sought-after treat. Despite threats of ‘It will rot your teeth’ adults can never put children off chocolate. But do you know how chocolate came into being? Did you know that chocolate dates back to 1900 BC? The cacao tree from which chocolate is made out of is native to Mesoamerica. Mesoamerica is an area stretching from modern day central Mexico to Belize, Guatemala, El Salvador, Honduras, Nicaragua, and northern Costa Rica. It is said that various people from Mesoamerica such as the ancient Mokaya people, fermented, roasted and ground cocoa beans to make chocolaty drinks. But unlike today’s various chocolate drinks that we enjoy, back then chocolate was served as a bitter, frothy liquid, mixed with spices such as chilies, wine or corn puree. 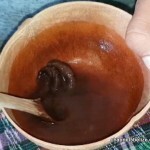 It is said that the origins of the word chocolate probably comes from the Classical Nahuatl word xocolātl which means bitter water, and entered the English language from Spanish. Despite being around since 1900 BC, the rest of the world, particularly the Europeans only got wind of this wonderful treat in the 16th century. It was the Spanish conquistador that first got to know of Chocolate. 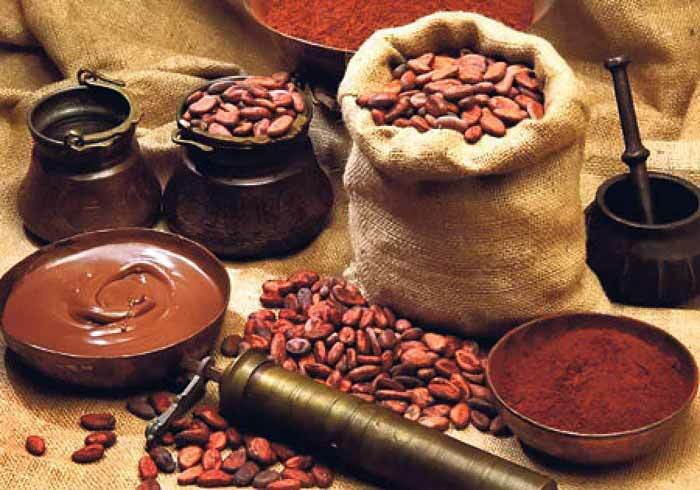 Spanish conquistador Hernán Cortés may have been the first European to encounter chocolate when he observed it in the court of Montezuma in the 16th century. Hernán Cortés led an expedition bringing large portions of mainland Mexico under the rule of the King of Castile in the early 16th century. Historian Antonio de Solís noted the daily intake of chocolate by Montezuma the ruler of Tenochtitlan in 1685. After the Spanish conquest of the Aztecs, chocolate was imported to Europe thus introducing it to whole world. There, it quickly became a favorite. It was still served as a beverage, but the Spanish added sugar or honey to counteract the natural bitterness perhaps making it more similar to the yummy chocolate drinks of today. Cacao plantations spread, as the English, Dutch and French colonized and planted. However, sadly this new craze for chocolate brought with it a thriving slave market, as between the early 17th and late 19th centuries the laborious and slow processing of the cacao bean was manual and cacao production was often the work of poor wage laborers and African slaves. Chocolate remained a treat for the elite and the wealthy until the arrival of the Industrial Revolution which brought steam-powered engines to speed the processing of the bean and made it possible to mass produce chocolate. As the processes for chocolate making became more efficient, new techniques and approaches revolutionized the texture and flavor. In 1815, Dutch chemist Coenraad Van Houten introduced alkaline salts to chocolate, which reduced its bitterness. A few years thereafter, in 1828, he created a press to remove about half the natural fat from chocolate liquor, which made chocolate both cheaper to produce and more consistent in quality. This innovation introduced the modern era of chocolate. Known as “dutch cocoa”, this machine-pressed chocolate was instrumental in the transformation of chocolate to its solid form when in 1847 Joseph Fry learned to make chocolate moldable by adding back melted cacao butter. Milk had sometimes been used as an addition to chocolate beverages since the mid-17th century, but in 1875 Daniel Peter invented milk chocolate by mixing a powdered milk developed by Henri Nestlé with the liquor. In 1879, the texture and taste of chocolate was further improved when Rudolphe Lindt invented the conching machine. Besides Nestlé, several chocolate companies had their start in the late 19th and early 20th centuries. Cadbury was manufacturing boxed chocolates in England by 1868. In 1893, Milton S. Hershey purchased chocolate processing equipment at the World’s Columbian Exposition in Chicago and soon began the career of Hershey’s chocolates with chocolate-coated caramels. From the companies in existence today, the Edna Chocolates Company is one of the oldest chocolate manufacturers in Sri Lanka. Founded in 1952, by its founder the late EBR Wimaladasa and his wife, the company started manufacturing Chocolates in Mawanella under the name and style EDNA CORPORATION. Interestingly the name Edna came about from the first letters of his name and his wife Nalini. The business commenced operations with the manufacturing of confectionery and supplying engineering components to small industries. Today Edna not only makes yummy chocolates for us,but also they are also exported to Bangladesh, Nepal, India, South East Asia and other countries. The company also has the largest Cocoa processing plant in Sri Lanka, which exports its finished products: Cocoa-liquor and Cocoa-butter to Cadbury India Ltd.
Is chocolate more healthy than fruit? With Valentine’s Day approaching, you might find more chocolate around the house. It turns out, that tempting treat might not be such a bad snack. That’s according to a recent study released in the Chemistry Central Journal, which says chocolate might be a more health option than fruit. The study says that dark chocolate and cocoa have more anti-oxidant capacity than fruit juice, and also more heart healthy flavanols and polyphenol. Cocoa beans are even considered a “super fruit,” the study says, with more antioxidant capacity than blueberries, cranberries and pomegranate powder on a per gram basis. Hearing about the study was welcomed news for chocolate lovers, and the search terms "chocolate more healthy than fruit" have surged in Yahoo! searches this week. But be careful of completely substituting chocolate for fruit. After all, the study was conducted by Hersheys. 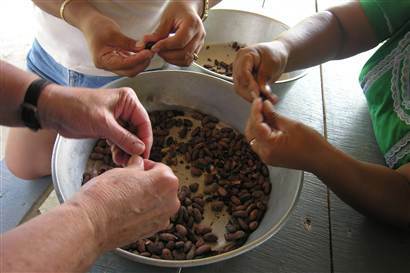 After fermenting and drying the cacao seeds, the next step is to remove the shells by hand. Belize's remote southern Toledo region doesn't make it onto many tourist itineraries, but it was at the top of mine this summer. The guidebook I write was due for an update, and I was eager to check out reports of chocolate tours and hands-on lessons offered at farms spread across Toledo's lush hills and valleys. My wife and mother-in-law didn't take much persuading. In San Felipe, a village of about 65 homes, we meet up with Cyrila Cho, whose family has been farming chocolate for generations. She quickly disappears among the cacao trees and emerges with an oblong yellow pod from a trunk. She splits it open with the whack of a club and presents me with the goo-covered seeds. I imitate her by removing one, placing it in my mouth, sucking off the sweet-tart pulp, then spitting the seed to the ground. The pulp doesn't taste at all like chocolate, which is made from the seed. Cyrila leads us into her cramped concrete kitchen, where a pile of dried, roasted, and peeled cacao beans lies on an old grinding stone. "With this matate I raised six children," she says, as she leans into the stone with all her weight. The beans shatter and mix with the wild vanilla, allspice, and sugar she has added. A savory odor lingers in the air. The Chos have found a way to connect ancient cacao farming with the modern craze for quality, fair-trade products. 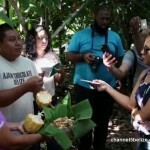 Their five-hour chocolate tour begins with a visit to son Juan's organic cacao farm. He sells to the Toledo Cacao Growers Association, a nonprofit coalition of about a thousand small farms that sells to acclaimed chocolatier Green & Black's. 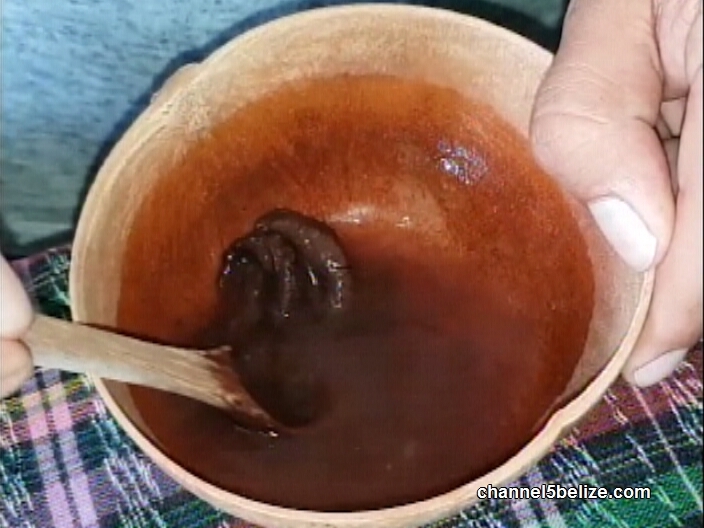 The tour then moves to Cyrila's home, where she and her daughter lead a Mayan chocolate-making session. Just down the road, on the banks of the Moho River, the Cotton Tree Lodge produces its own brand of chocolate. The one-room, 100-bar-a-day operation has refrigerators and special chocolate-blending ("conching") machines powered in part by solar panels. Cotton Tree runs weeklong chocolate packages and day trips that give guests a chance to tour a nearby cacao farm before heading to Cyrila's to peel toasted cacao beans while sipping on pinnul, a traditional cacao-and-corn drink. The work is slow going. My wife, my mother-in-law, and I need more than 30 minutes to peel enough beans to be ground into a single bar of chocolate. Afterwards, we take turns on Cyrila's matate until the oil of the seeds adds a shiny luster to the brown paste. When it's sufficiently creamy, she will pour the thick substance into molds and set the bars out to harden. But we've got to press on. We buy some previously made chocolate and cocoa powder, say goodbye to Cyrila and her family, and continue down the trail. Chocoholics, take note Toledo is about a 50-minute plane ride from Belize City. The alternative, a roughly five-hour drive, isn't bad now that the Southern Highway has been improved. The final nine-mile stretch of dirt is being paved, and daily express bus service is offered on school buses painted with Rasta colors based in Punta Gorda. The Annual Cacao Fest each spring (May) celebrates all things chocolate by offering a host of local products—from cupcakes and kisses to cacao wine and chocolate cocktails—as well as numerous cultural events. The Chocolate Tour at Cyrila Cho's includes a traditional caldo (stew) lunch and hot chocolate (011-501/663-9632, [email protected], five-hour tour $60). Nature's Way Guest House offers eclectic wooden rooms with a fan and shared bath (one room has a private bath). This is Punta Gorda's best backpacker option, with its own links to cacao farmers and Mayan villages (011-501/702-2119, [email protected], double from $17). Hickatee Cottages is an award-winning, green bed-and-breakfast almost two miles outside Punta Gorda, right up against the jungle (hickatee.com, cottage from $75). Coral House Inn, on the highest point of Punta Gorda's shoreline, has four rooms overlooking the Caribbean, a small pool, and a bar area (coralhouseinn.net, double from $83). Cotton Tree Lodge hosts day tours year-round ($79) and two Chocolate Week packages annually—one coinciding with Valentine's Day, the other with Cacao Fest in May. The weeklong packages cover accommodations, meals, cooking classes, dessert making, background on the Fair Trade certification process, and airport transfers (cottontreelodge.com, $1,365). The tree house-like accommodations start at $170 per person per night, with a day tour, all meals, and airport transfers included. Joshua Berman is the author of "Moon Handbooks Belize". Been to AJAW Chocolate yet? You can make your own chocolate there. Here's a great video where you can learn about the cacao tree, and the delicious treat. 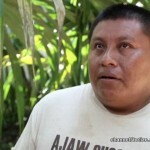 Adrian Choco is a local tour guide and chocolate maker. 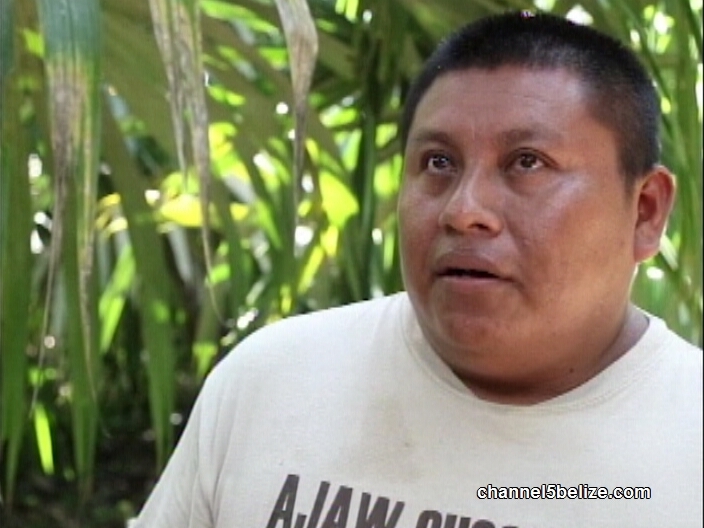 In this video you will see the process of making the Ajaw Chocolate located in the heart of San Ignacio for a taste of Belize. 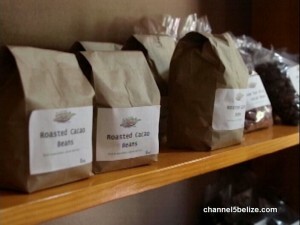 ExportBelize, Connecting global opportunities for a vibrant "bean to bar" Cacao industry! Not everything about chocolate is sweet, including its history. If you look closely enough, you can see some Maya artifacts with paintings of people gathering, preparing, or drinking cacao. First off, if we were to go back in time and say “chocolate” around the ancient Maya they’d likely laugh at us for our funny accents but still be able to ascertain what we are referring to. How? Simple – Chocolate is a word derived from the original name that was Xocolatl. Mayan ‘x’ was pronounced ‘sh’ which would have that word sound pretty close to the way many Europeans would still say it to this day. The preparation and use of chocolate date back to the Mayan classic period which extended from 900 to 250 BC and as far back as 1900BC by the Olmecs which puts us somewhere near 3917 years of enjoying the stuff. In Mayan society, chocolate was a treat reserved for the elite. It was held in almost sacred regard and consumed both recreationally and ceremonially by Mayan kings, priests and in the Aztec civilization famed warriors as well. 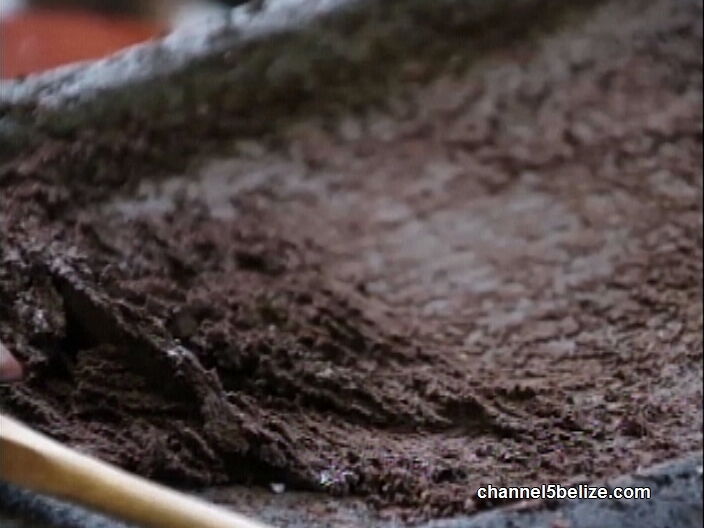 Discover the unique Maya chocolate making process at Ixcacao in the Toledo District, Belize. Chocolate is healthy! Ok hear me out, cause we’ve all been told to put down the chocolate cake or refuse the chocolate bar staring us in the face at the grocery store checkout. It has become associated with all the calorie dense, fatty, sugary things that we should consume less of, but it’s really not chocolate’s fault. We learned this and so much more on our quest to educate our mini blogger while traveling and enjoying the jewel that is Belize. Our travels took us down a dirt road and to the gates of a farm and factory just outside Punta Gorda Town in Toledo District, Belize. Juan, of Ixcacao Maya Belizean Chocolate, was willing to give us a tour of their facility on a Sunday. Since the machines don’t work over the weekend, we did not get to see large batches of cacao being processed. Still, we got to learn a lot about the origins of the exotic fruit and how the Maya people processed it hundreds of years ago. 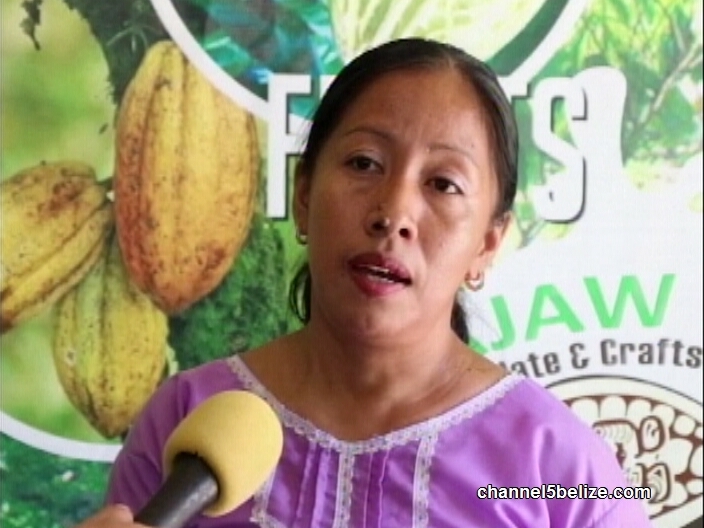 Situated in San Ignacio Town, Ajaw Chocolate and Crafts attracts thousands of visitors every year, but the family owned and operated company is struggling to get its name out there. As part of this year’s B.T.B. 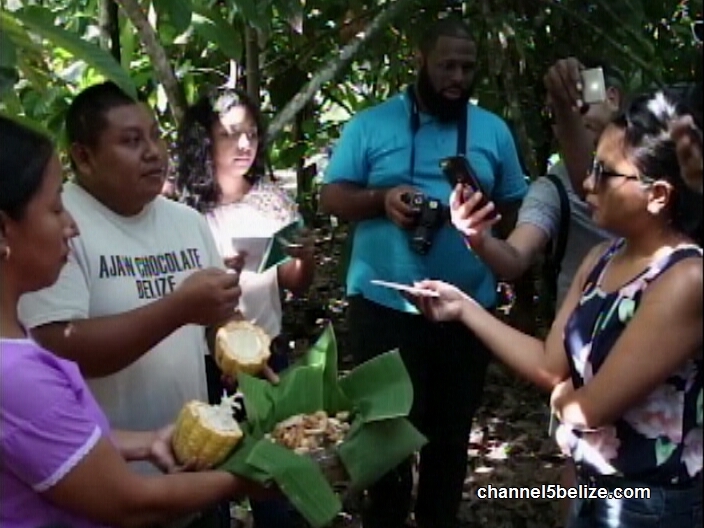 familiarization trip, the media was taken to Ajaw and shown the Mayan art of transforming cacao beans into chocolate by hand. 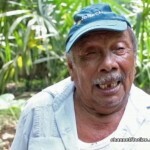 Hipolito Novelo reports. Chocolate- it’s one of the most delicious foods in the world, enjoyed by millions of people in nearly every shape and form. But do you know how it is made and where it comes from? 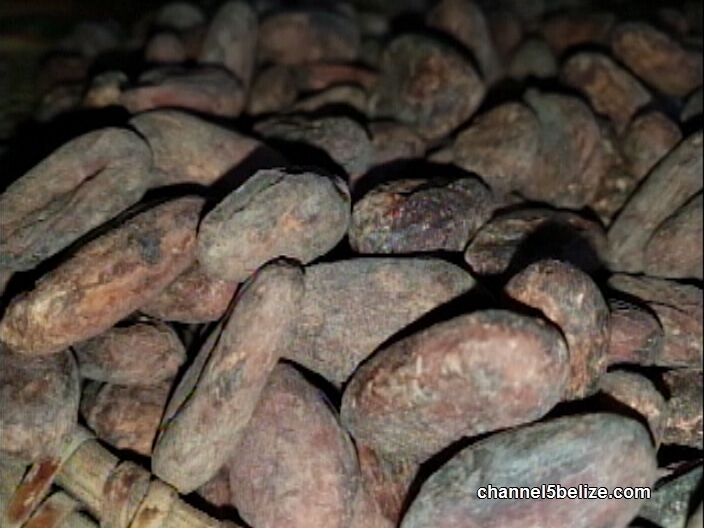 Did you know that Belize produces chocolate? The Toledo Cacao Growers Associations ships about one hundred tons of chocolate for export every year. Ajaw Chocolate and Crafts contributes to the chocolate exportation. 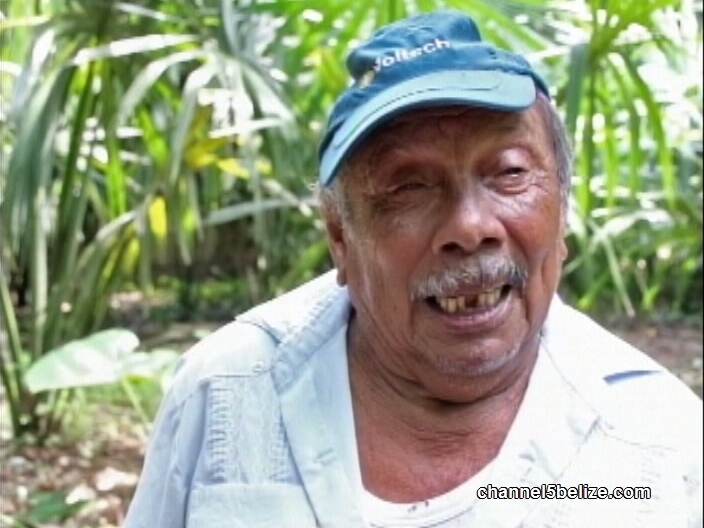 Based in San Ignacio,Ajaw Chocolate partnered with seventy-eight-year-old Marcelo Medina for the use of his twenty-acre farm to plant and grow cacao trees. Medina’s farm was perfect for Ajaw’s chocolate endeavor. 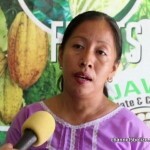 The partnership was officially cemented about seven years ago when the owner of the company, Adrian Choco a Punta Gordanative discovered that Median’s farm possesses the perfect type of soil for the planting and growing of cacao trees. The process of planting cacao seeds, nurturing the tree to a mature stage for harvest can in itself be a lengthy process. 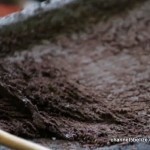 Then there comes the actual making of chocolate-transforming the cacao seeds into chocolate goodness. Since 2015, Ajawhas produced more than three tons of chocolate annually. It is a small amount compared to other export products, but for Choco, it is worth it. The other half of Choco’s business includes the promotion of the Kekchi Maya’s chocolate making art. His wife, Elida, takes care of that part. Some six thousand tourists visit Ajaw Chocolate and Crafts every year, but the company is still struggling with wider marketing campaigns. As Halloween revelers prepare to feast on chocolate, a new study from an international team of researchers, including the University of British Columbia, is pushing back the origins of the delicious sweet treat. The study, published online today in Nature Ecology & Evolution, suggests that cacao — the plant from which chocolate is made — was domesticated, or grown by people for food, around 1,500 years earlier than previously thought. In addition, the researchers found cacao was originally domesticated in South America, rather than in Central America. Archaeological evidence of cacao’s use, dating back to 3,900 years ago, previously planted the idea that the cacao tree was first domesticated in Central America. But genetic evidence showing that the highest diversity of the cacao tree and related species is actually found in equatorial South America-where cacao is important to contemporary Indigenous groups-led the UBC team and their colleagues to search for evidence of the plant at an archaeological site in the region. Theobroma cacao, known as the cacao tree, was a culturally important crop in pre-Columbian Mesoamerica — a historical region and cultural area in North America that extends from approximately central Mexico through Belize, Guatemala, El Salvador, Honduras, Nicaragua, and northern Costa Rica. Cacao beans were used both as currency and to make the chocolate drinks consumed during feasts and rituals. For the study, researchers studied ceramic artifacts from Santa Ana-La Florida, in Ecuador, the earliest known site of Mayo-Chinchipe culture, which was occupied from at least 5,450 years ago. The researchers used three lines of evidence to show that the Mayo-Chinchipe culture used cacao between 5,300 and 2,100 years ago: the presence of starch grains specific to the cacao tree inside ceramic vessels and broken pieces of pottery; residues of theobromine, a bitter alkaloid found in the cacao tree but not its wild relatives; and fragments of ancient DNA with sequences unique to the cacao tree. The findings suggest that the Mayo-Chinchipe people domesticated the cacao tree at least 1,500 years before the crop was used in Central America. As some of the artifacts from Santa Ana-La Florida have links to the Pacific coast, the researchers suggest that trade of goods, including culturally important plants, could have started cacao’s voyage north. Sonia Zarrillo, the study’s lead author and adjunct assistant professor at the University of Calgary who carried out some of the research as a sessional instructor at UBC Okanagan’s department of anthropology, said the findings represent a methodological innovation in anthropological research. Discovering the origins of food that we rely on today is important because it helps us understand the complex histories of who we are today, said Blake. Ancient people in South America may have developed a taste for hot chocolate 1,500 years before the Mexicans began growing the plant, a new study suggests. It had been thought cacao was grown by people for food in central America around 1,900 BC. New archaeological evidence suggests the tree was harvested by people living in the upper Amazon basin and foothills of the Andes around 3,400 BC, however. Pottery found alongside the remnants of cacao suggest that they consumed the bean as beverage, experts say. From there the love of chocolate spread north, researchers from the University of British Columbia claim. Researchers studied ceramic artefacts from Santa Ana-La Florida, in Ecuador, the earliest known site of Mayo-Chinchipe culture, which was occupied from at least 5,450 years ago, to make the findings. Previous archaeological evidence of cacao’s use dating back 3,900 years planted the idea that the cacao tree was first domesticated in Central America. New genetic evidence shows that the highest diversity of the cacao tree and related species is actually found in equatorial South America, where cacao is important to contemporary indigenous groups. Researchers looked for clues in ceramic pieces unearthed at the archaeological site and found traces of cacao, which suggested it was used far earlier than thought. ‘This new study shows us that people in the upper reaches of the Amazon basin, extending up into the foothills of the Andes in southeastern Ecuador, were harvesting and consuming cacao that appears to be a close relative of the type of cacao later used in Mexico – and they were doing this 1,500 years earlier,’ said study co-author Professor Michael Blake, from the university’s department of anthropology. ‘They were also doing so using elaborate pottery that pre-dates the pottery found in Central America and Mexico. Theobroma cacao, known as the cacao tree, was a culturally important crop in pre-Columbian Mesoamerica. This was a historical region and cultural area in North America that extends from approximately central Mexico through Belize, Guatemala, El Salvador, Honduras, Nicaragua, and northern Costa Rica. Cacao beans were used both as currency and to make the chocolate drinks consumed during feasts and rituals. But ceramic artefacts suggested it was highly prized by the Mayo-Chinchipe culture, which occupied the site at Santa Ana-La Florida, in Ecuador, from at least 5,450 years ago. Researchers used three lines of evidence to show the Mayo-Chinchipe culture used cacao between 5,300 and 2,100 years ago. They found the presence of starch grains specific to the cacao tree inside ceramic vessels and broken pieces of pottery. There were also residues of theobromine, a bitter alkaloid found in the cacao tree and fragments of ancient DNA with sequences unique to the tree. The findings suggest that the Mayo-Chinchipe people domesticated the cacao tree at least 1,500 years before the crop was used in Central America. As some of the artefacts from Santa Ana-La Florida have links to the Pacific coast, this suggested the trade in goods, including culturally important plants, could have started cacao’s voyage north. Prof Blake added discovering the origins of food we rely on today is important because it helps us understand the complex histories of who we are today. The study was published in the journal Nature Ecology & Evolution.